Cosmic jazzy genius from Bubbha Thomas & The Lightmen – the kind of a record that sounds like it should have come out of Detroit or Chicago in the early 70s – and not the Texas scene from which the group hailed! The Lightmen have a vibe that reminds us a lot of The Pharoahs or some of the Tribe Records collective – a willingness to mix free-thinking jazz expression with tighter grooves and funkier rhythms – stepping out in an instrumental vibe that still has plenty of funky 45 touches, but which also sits nicely alongside the most cosmic work coming out from Impulse at the time! 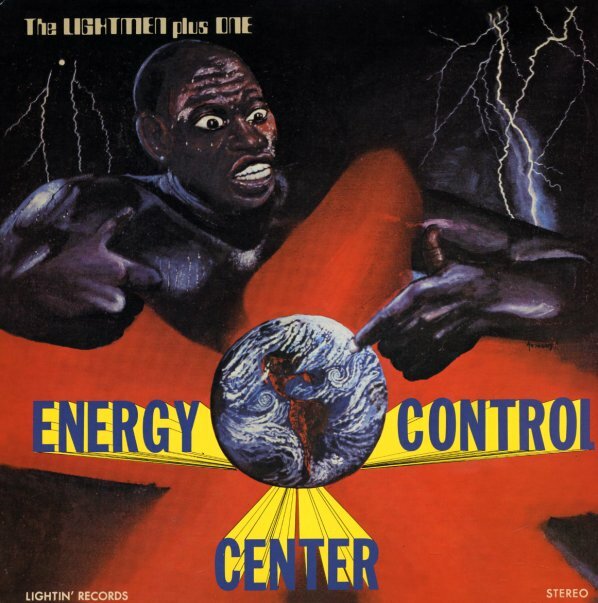 The title cut "Energy Control Center" has an electric spacey quality that reminds us of Sun Ra at his best – and other tunes soar out with a brilliant post-Coltrane sense of freedom evident in work on saxes, flute, and piano. Titles include "Wench", "Cold Bair", "Leo", "Jupiter's Child", and "The Phantom". This amazing expanded version features loads of bonus tracks, unreleased material, singles, and the great spiritual number "All Praises To Allah". © 1996-2019, Dusty Groove, Inc.